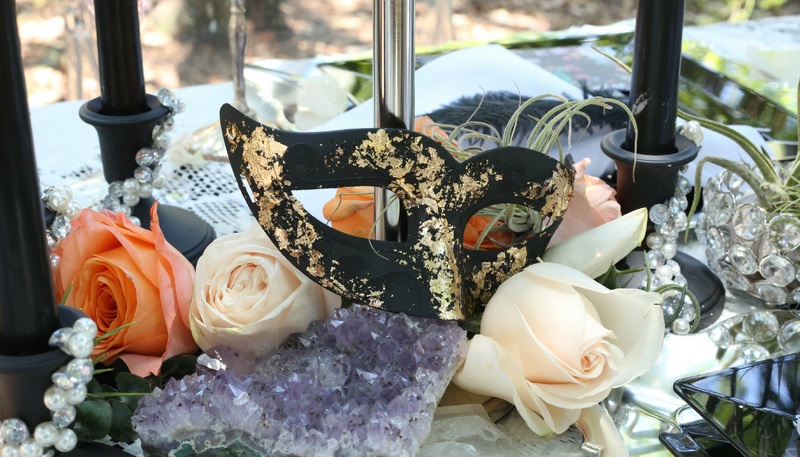 When fall comes into season and it’s wedding planning time, a moody fall masquerade themed wedding is the perfect occasion. A unique fall palette of black, ivory, pink, peach and silvery green are stunning in the late season of the year, especially when blended with masquerade masks gilded for the wedding day festivities. 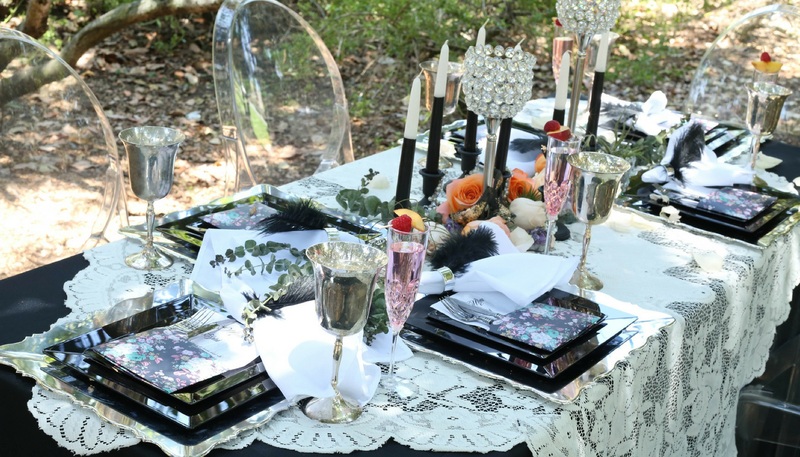 Top hats embellished with florals and ostrich feathers, and a stunning tablescape of elegant jeweled black taper candles is a scene straight from a fairy tale fall wedding story. For a moody fall masquerade, the design elements that come to mind are visions of a deep, dark color palette that celebrates some of the lesser appreciated colors of fall, an impactful and romantic fall wedding centerpiece and tablescape, clever touches delivered through the decorations, like crystal beaded accessories, and of course, masquerade masks, bringing a formal touch to this special wedding celebration. For the table settings, a linen in deep shimmering black was laid across a long dining table. This was overlaid with a shimmering black organza tablecloth. Clear acrylic ghost chairs were lined up and down each side of the table, while silvertone chargers set the tone for elegant black square dinnerand dessert plates. White linen napkins are tied with silvertone napkin rings, embellished with black ostrich feathers. 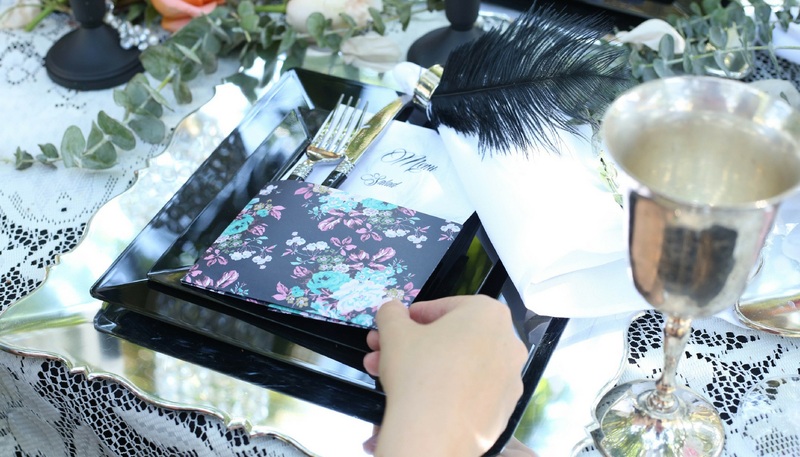 This charming touch imparts a sense of formality to the table design. Premium black forks and knives sets are a fitting match for this chic look. 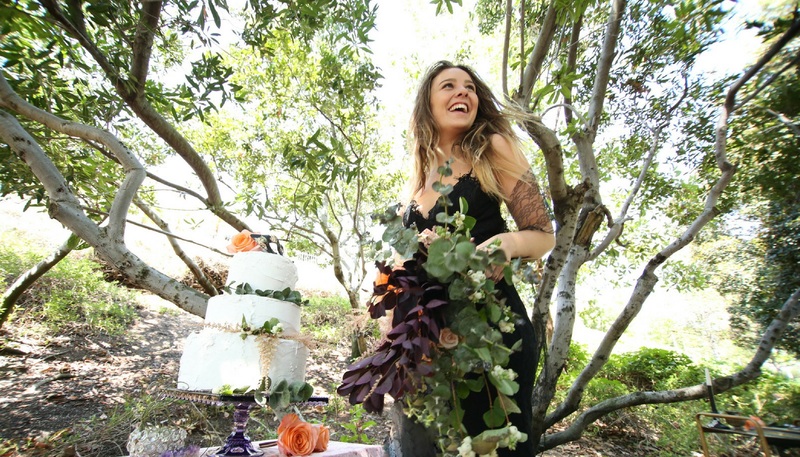 Get the complete look here, and happy fall wedding planning!